COPENHAGEN – Russian climate delegation official Oleg Shamanov tried to draw together in a side meeting with Bellona representatives apparent conflicts in just what the Russian negotiating position is, whether the country will maintain a grip on its Kyoto carbon credits, how close Moscow is to the negotiations, and what kind of wiggle room the delegation has on the emissions it is proposing. He also spoke of his delegation’s position on Russia’s climate doctrine, and why has been laid up collecting dust since May without a signature. The document once signed, would go a long way toward establishing a cohesive climate policy for the country, and critics have latched on the absence of the doctrine’s adoption as undermining the fundament of Russia’s commitment to battling climate change. 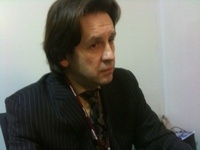 While Shamanov was quick to underscore that his position did not represent his negotiating team’s agenda as a whole, he is a highly placed official on climate issues with the Russia foreign ministry and participated in many of the talks that led to Russia’s ratification of the Kyoto Protocol in 2004. On this more personal level, he tried to bring more form to what has so far appeared to be somewhat uncoordinated and misunderstood efforts by the Russian negotiating team, from whether Russia intended give away its carbon credits amassed under Kyoto, to how closely the delegation is being monitored by Moscow to what, precisely, its proposed emissions reductions will be. Shamanov stated firmly and many times throughout the meeting that the emissions cut proposals that Russia will be bring to the table are 22 to 25 percent below 1990 levels “as (Russian President Dmitry) Medvedev said at the Stockholm summit” which took place on November 18th. He also reiterated Russia’s position that it does, indeed, intend to hold on to carbon credits it collected under the Kyoto Protocol – despite reports that spread like wildfire earlier in the negotiations that Moscow had reversed its position on that. On Monday, Vedemosti, a respected Russian business daily, reported with references to anonymous sources, that Russia was prepared to give up some €30 billion to €45 billion worth of carbon credits for trade and allocate them throughout the world. Shamanov, in conversation with Bellona, dispatched with that notion, saying, “I don’t know where Vedomosti got that information because it is something that we are not discussing,” he said. “It is a key point in our negotiation agenda,” he said. Carbon trading is mainly based on permits that are issued or sold by governments to companies that emit carbon dioxide and other gases that are believed to affect the climate. The companies are required to buy permits, or seek credits elsewhere, if they emit more than a specified amount of carbon. They can profit by selling their permits for cash if they come in below their cap. As governments lower the overall caps, the prices for permits and credits should rise. Supporters of carbon trading say that the system is working when companies facing high-cost permits cut their output, invest in cleaner technology or buy emissions credits from a company or organization that has taken actions to reduce emissions or absorb greenhouse gases from the atmosphere. The main model for such a system already operates in the European Union, which has called on all industrialized countries to have systems in place by 2015 and for rapidly emerging economies like China and India to adopt them by 2020. A similar system is being debated in the United States. But even if a global market develops, many experts warn that carbon trading should not be relied on to deliver the scale of emissions cuts needed to keep the rise in global temperatures within a range that scientists say would prevent dangerous changes. This has led many analysts to conclude that Russia could scuttle the talks altogether by keeping its credits. Shamanov, however, added a new twist to the terms under which it is arguing to keep its credits: Instead of flooding the world market with cheap carbon credits, Russia would rather hold on to them for their own use to offset the growth of their own industry. This provided a segue for Shamanov to underscore another point that Russia has been insistent on since negotiations began – the being that the Copenhagen Summit not become an extension of the Kyoto Protocol. Yet he added the caveat that its principles would not be tossed out with the trash. “We are not against Kyoto; we are against a continuation of Kyoto,” he told Bellona. In reference to other meetings of the Russian delegation with Bellona and other NGOs earlier this week, Alexei Kokorin of the World Wildlife Federation Russia, noted during a Monday briefing that the Russia’s delegation did not seem to be operating in any close dialogue with Moscow. Indeed, Shamanov seemed to somewhat confirm that by saying that the delegation left with a specific set of marching orders. “We are working for progress,” he said. “We are working toward clear obligtions” in emissions cuts, all of which were agreed to at the highest levels prior to the delegation’s departure. Yet there still remains a great deal of uncertainty at home over what will become of Russia’s climate doctrine, which it tabled in May and has not moved forward on.